This is a nice example of Ever Ready losing the plot a little when it comes to design. After the luscious curves of the earlier 'Model C' they have reverted to type with this plain-jane handbag-portable. A plastic deck adds nothing to its aesthetic but did make it cheap for the time. 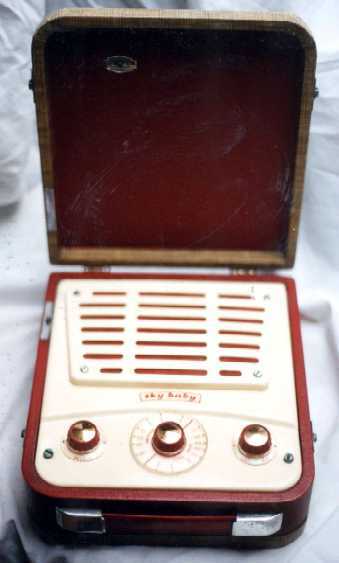 This set uses an internal ferrite rod aerial and shares its chassis with the Ever Ready 'Sky Princess' as well as the 'Ballerina' and 'Calypso' models produced for export by BEREC.